Online ordering menu for Wise Guys Gyros and Italian Beef. 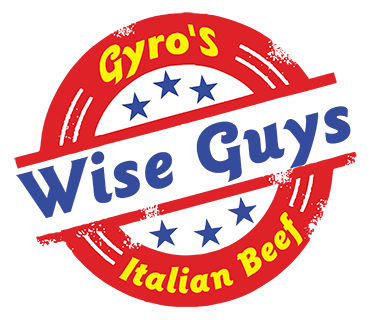 Welcome to Wise Guys Gyros and Italian Beef where serve delicious gyros, burgers, sandwiches, and more! Come try our Fabulous Greek Salad, BBQ Gyro, or Italian Beef Sandwich! Find us across the street from Alton-Woodriver Sportsmens Reservoir. We're not far from Alvareita College Cosmetology. Order online for carryout or delivery!